Tawanna Black (bio) will present the inaugural State of Economic Inclusion Report, which will include indicators of an inclusive economy to equip regional leaders to begin measuring progress in creating an economy that works for everyone. The indicators and report were developed with valuable insight and wisdom from leaders throughout the region, and informed by data analysis and market perspective from the Brookings Institution. Alan Berube (bio) will join us to share perspective on the progress Minneapolis-St. Paul is making to build an inclusive economy, and the partnership the Center for Economic Inclusion has established with the Brookings Institution to advance economic inclusion. A reaction-panel of local leaders will follow the discussion. In this fireside, chat Janis Bowdler (bio) will discuss how to build equitable cities and the role of the private sector. Janis will highlight the new Advancing Black Pathways and Advancing Cities initiatives at JPMorgan Chase and the ways the firm is increasing jobs, income and wealth for African Americans. A reaction-panel of local leaders will follow the discussion. Devean George (bio) is a North Minneapolis native, Augsburg University graduate, NBA alum, and groundbreaking developer who is reinvesting in the Twin Cities with a commitment to shared prosperity and economic growth. Devean will share his journey to becoming a developer, his vision for shared prosperity in our region, and the power of fueling our economy through the vision and investment of developers of color. A networking reception will immediately follow the closing plenary. Light refreshments will be served. The commitment to increase racial diversity must start with executive-level decisions—but it shouldn’t stop there. Local business and workforce development leaders will discuss what it means to go beyond celebrating diversity to building a corporate culture that recognizes and values diversity while demonstrating measurable inclusion on the bottom line. Speakers: Paul Williams, Project for Pride in Living; Kyle Hansen, U.S. Bank; Tonya Jackman Hampton, Cook Ross. Large businesses can transform procurement and employment strategies that lead to economic mobility and growth from within communities—while producing triple bottom-line results. Anchor Partnership Models, like Central Corridor Anchor Partnership and the Itasca Business Bridge, require commitment and shared intention for overall success. We will uncover the highs and lows of changing policies and practices, the ways organizational culture must evolve to advance community-led strategies, and what it takes to scale and replicate this model in other neighborhoods. Speakers: Paul Pribbenow, Augsburg University and Central Corridor Anchor Partnership; Brad Pomerleau, Target; Gene Gelgelu, African Economic Development Solutions; Marcus Owens, African American Leadership Forum; Ruby Azurdia-Lee, CLUES. Opportunity Zones are attracting new investors to low-income neighborhoods. However, building thriving neighborhoods and commercial districts will require much more than financial incentives; it necessitates businesses owned by people of color are able to compete. In this session, entrepreneurs, developers and incentive experts will discuss what it takes to develop while mitigating gentrification, creating competitive, inclusive contracting opportunities, and building thriving business districts. We will discuss the role of anchor employers and large private-sector businesses as investors, purchasers, and employers and how to leverage national incentives to catalyze inclusive equitable neighborhoods. Speakers: Council Vice President Andrea Jenkins, Minneapolis City Council; Chet Cooper, Hennepin County; Elena Gaarder, Nexus Community Partners; Frank Brown, Owner, Minuteman Press; Nawal Noor, Noor Development Group. We face a worker shortage unlike anything in recent history. This reality, coupled with competitive sourcing needs, has created unprecedented opportunity for diverse business growth and entrepreneurship. Worker-owned businesses and cooperatives offer new pathways for entrepreneurs to create wealth, fulfill and expand job needs, and drive inclusive economic growth. Our panel will examine how these models can positively impact our communities and address barriers to success. Speakers: Adair Mosley, Pillsbury United Communities; Bukata Hayes, Greater Mankato Diversity Council; Danielle Mkali, Nexus Community Partners; Pakou Hang, Hmong American Farmers Association. Our region is leaving skilled talent out of the employment loop and it is hurting our ability to build a world-class workforce. Employers, trainers, and city leaders from Minneapolis and Saint Paul are creating a closed-loop ecosystem for matching available jobs to available talent on the East Side of Saint Paul and in North Minneapolis. Learn how leaders from Itasca Project, the Port Authority, Northside Funders Group, and East Side Funders Group are partnering to win the war for talent and the economy. Speakers: Dave Kvamme, (retired CEO) Wells Fargo; Sonja Simpson, Center for Economic Inclusion; Will Schroeer, East Metro Strong; Tonya Bauer, Saint Paul Port Authority; Eva Margolis, Lutheran Social Service of Minnesota. Comprehensive data, from a variety of sources, is imperative for policy analysis, research and advocacy. In order to make progress on our region’s most pressing challenges, it will take using both data and research practices that bring together the wisdom, knowledge and expertise of multiple diverse partners, across sectors. In this session, we will highlight examples of using data to inform policy and practice changes, and communities that are at the forefront of reshaping data informed policy. Speakers: Neeraj Mehta, McKnight Foundation; Andi Egbert, APM Research Lab; Dr. Brittany Lewis, Center for Urban and Regional Affairs; Owen Duckworth, The Alliance. 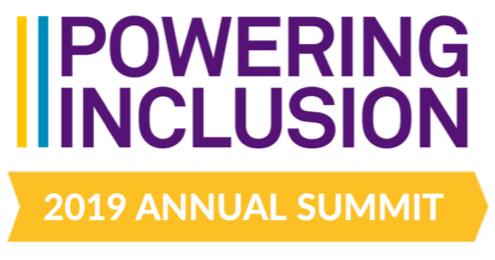 POWERING INCLUSION is an ongoing event series designed to equip leaders to lead through a lens of Race + Place + Income, positioning the Minneapolis-St. Paul region as a hub for talent, investment, and innovation to increase our economic competitiveness. PROMOTIONAL SPONSOR: Financial Executives International, Twin Cities Chapter, Inc.
Sign-up for Summit updates. NOTE: You must still register to attend.